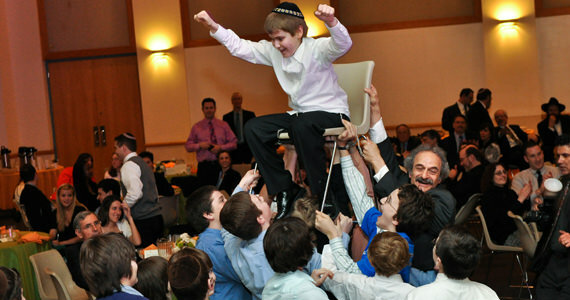 The Bar Mitzvah or Bat Mitzvah ceremony in the Jewish faith, is a celebration of a boy or girl becoming an adult. This is one of the most memorable events in the life of a young Jewish child and their family. Because of the significance of this type of event, you do not want to place your faith in just any disc jockey entertainer. 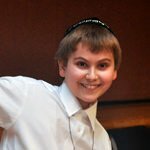 At Pifemaster Productions disc jockey service, we take careful consideration in conducting a celebration as important as a Bar Mitzvah or Bat Mitzvah. We know that such an event requires hours of planning and preparation for each hour of performance time. Our DJ will be happy to work with you to help achieve the ultimate experience, for that special young person in your life. While in the planning stages for your event, look closely at our party props. Our experience has proven these to be an indispensable part of this type of celebration. You will also want to check out our list of popular games & interactive ideas. 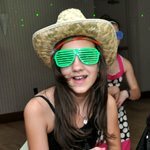 We encourage you to take a few moments to watch videos and view images from Bar Mitzvahs and Bat Mitzvahs where we provided disc jockey entertainment.